L7's signature sound of a heavy, catchy, mixture of punk, metal, noise and pop helped usher in the era of Grunge. Since their recording career began in 1987, the band has released six studio albums, three live albums, one covers LP, and one greatest hits to date on labels including Epitaph, Sup Pop, Slash, and Warner Brothers. While particularly known for their unforgettably raucous live performances, the band also spawned underground and mainstream hits including Shove, Pretend We're Dead, Shitlist, Andres, Fuel My Fire and more. Their music can be heard in television (ER), video games (Grand Theft Auto, Rock Band 2) and popular films including The Perks Of being a Wallflower, Natural Born Killers and John Water's classic Serial Mom, in which they also star as fictitious band Camel Lips. In 2001 the band went on an "indefinite hiatus". 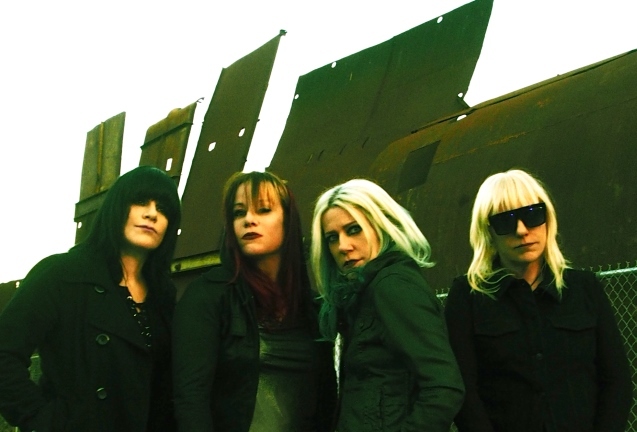 After 15 years and at the urging of their fans via social media platforms, L7 reunited in 2015 and performed sold out shows around the globe to rave reviews and accolades from a new generation of music fans. A documentary on the band L7: Pretend We're Dead was released in 2017 to critical acclaim and demonstrates L7's contribution and legacy in the pantheon of rock.